This sumptuous California mulberry cushion cover in fabulous floral print will surely add grace and style to your room. 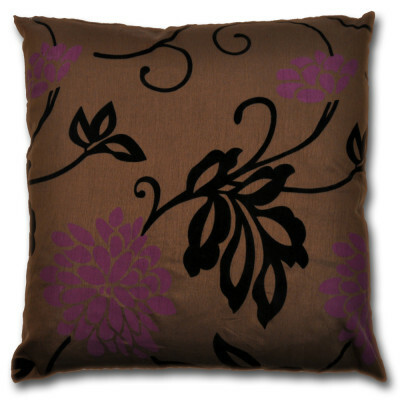 Its mulberry coloured flowers with black floral design are very appealing and creates a soothing aura. Our Cushion cover with faux silk fabric is very smooth and silky to pamper your skin. This cushion cover is really a fantastic addition and can be placed in your bedroom, living room or patio areas.